We continue to investigate the disappearance of Lisa Brown who was last seen in 1998. Today was another phase in our cold-case investigation. 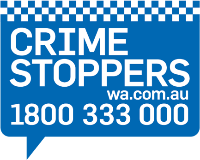 If you know anything at all please call Crime Stoppers on 1800 333 000, and remember, a $250,000 reward is in place for information leading to the arrest and conviction of those responsible. Watch the video here.